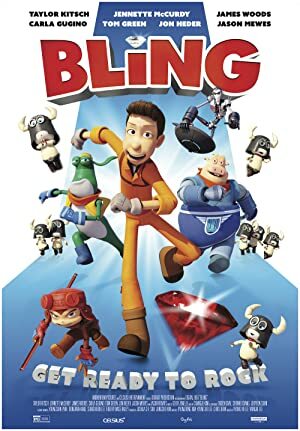 Bling (2016) – What's New on Netflix Canada Today! Lowly theme park mechanic Sam dreams about his childhood sweetheart Sue. With the misguided belief that only a bling ring can win the girl of his dreams, Sam plans the most perfect night to propose to his one true love. But when supervillain Oscar shows up with an evil scheme involving a ring of his own, Sam’s plans are thrown into utter disarray. After mistaking each other’s rings for their own, Sam teams up with his robot superheroes to track down his engagement ring and save the city… learning that it’s not about the size of the bling, but the size of your heart.